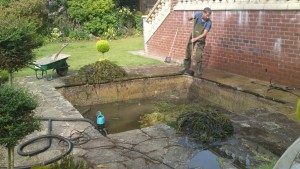 The key to keeping a healthy informal pond is keeping the water clean, our pond cleaning service ensures that plants are well maintained to ensure they do not take over. If you have the right balance of plants and oxygen, you will encourage wildlife and your aquatic plants will thrive. To keep a formal Koi pond healthy more equipment is needed including filtration systems, pumps, and a good maintenance regime is key. 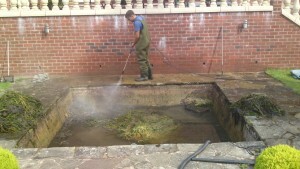 As Koi produce 10 times more waste than other pond fish good filtration is paramount and your pond will need a higher level of maintenance.We take pride in our work and our loyal customers often request our help and advice in regards to maintaining their ponds. Feel free to view our testimonials page to read our customer reviews. If the level stays the same the leak will be outside of the pond ie. waterfalls, filters, piping. Once a balance of plants and animal life is established, the water should remain clear without needing further attention. However, if you notice any changes in the numbers of fish and plants, the water balance may be slightly off and a surge of algal growth may result. As algae depend on sunlight, carbon dioxide and dissolved mineral salts for survival, reduce the amount of sunlight they receive by growing plants such as waterlilies. Grow sufficient numbers of plants so that their floating leaves cover more than 50 per cent of the water surface. The addition of oxygenating plants, which are efficient at absorbing minerals and carbon dioxide, helps to starve out the algae. It’s important to remove any rotting organic matter in the pond such as dead leaves and flowers. A form of algae known as blanket weed is often found in ponds, and if left unchecked can choke the plants and restrict the movement of fish. 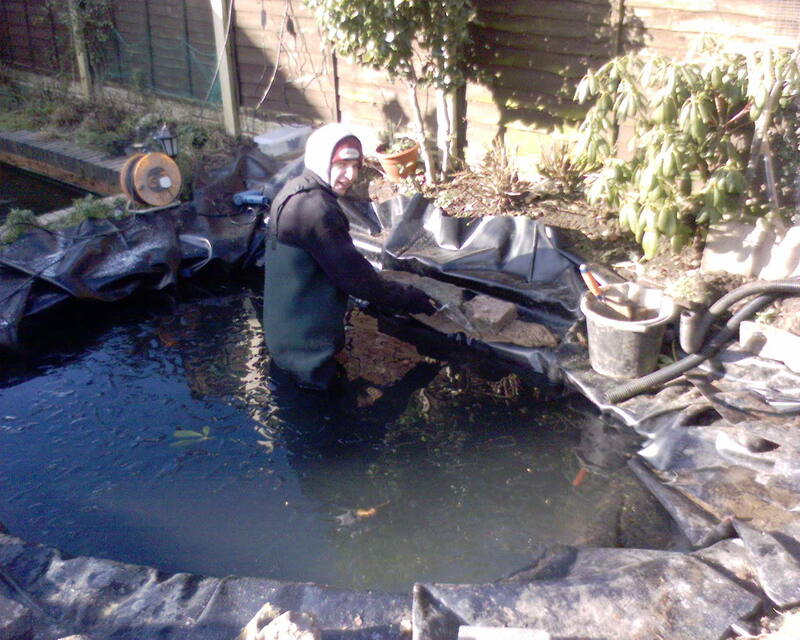 During the winter months the cleaner you can keep your pond the better. Removing dead leaves and foliage is a service we provide to hep you maintain a healthy pond. During the winter months ice may form, trapping methane gas which is released from submerged decaying vegetation and is potentially lethal to fish. Our regular maintenance package can include any of the services above as well as inspecting and cleaning out filters and pumps. 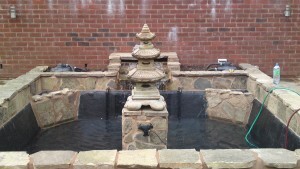 At Perfect ponds and landscapes whatever the type of pond you have, whatever shape and size it is we specialize in keeping your ponds maintained properly with the right amount of care so you can sit back and relax. Contact us to book your maintenance visit.